Exomotive - US Manufacturer of Exocars & Kit Cars | Hello Exocet! 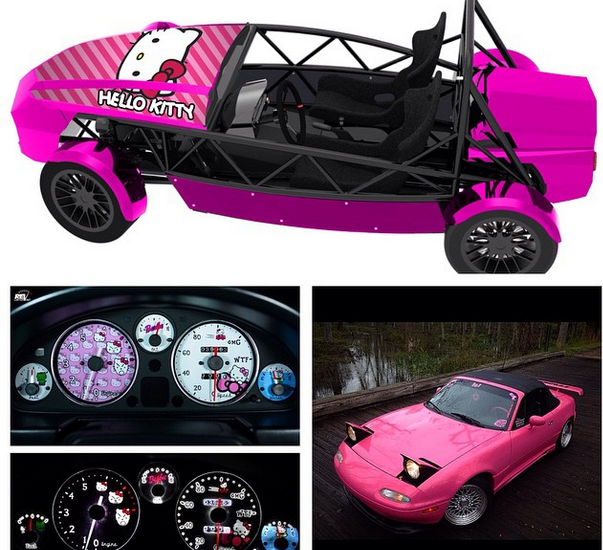 After seeing Brook Berini’s Hello Kitty gauges from revlimiter we think she needs to talk to the vinyl wizards from atdjax about the latest rendering they did for an Exocet. 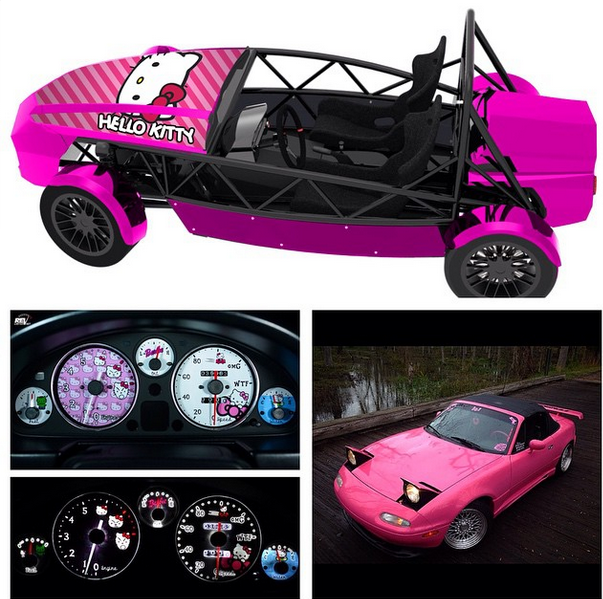 Definitely the “next step” for her Miata.